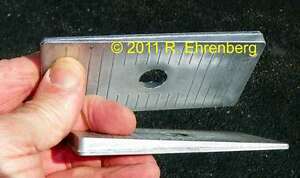 Here's a pair of 2½° pinion-angle shims for all muscle-era Mopars. will correct a hard-to-find vibration, especially if your current angle is 3° or more. NEW for Mopar: Universal Joint / Pinion Angle Shims.